Nintendo's free-to-play puzzle title Pokémon Shuffle has now been downloaded over 3.5 million times. To mark this occasion, Nintendo has opened a special Celebi challenge, which runs from today until May 18th. Successfully completing the challenge earns you 1000 coins, and as you might expect, you'll need to be running the latest version of the game - 1.1.11 - to take part. 3.5 million downloads is certainly nothing to be sniffed at, and would suggest that Nintendo's free-to-play experiment is something of a success. Are you one of the many who have taken a chance on this title? Let us know your feelings by posting a comment. Downloaded only with the other Pokemon for the 50 stars in CN. I already got Celebi, it wasn't too hard to catch, despite the numerous disruptions in the stage. I've stopped playing this game... I wonder how many of the 3.5 million are the same. @ikki5 I have stopped playing too. I think the bigger question is how many of the 3.5 million have actually spent any money? 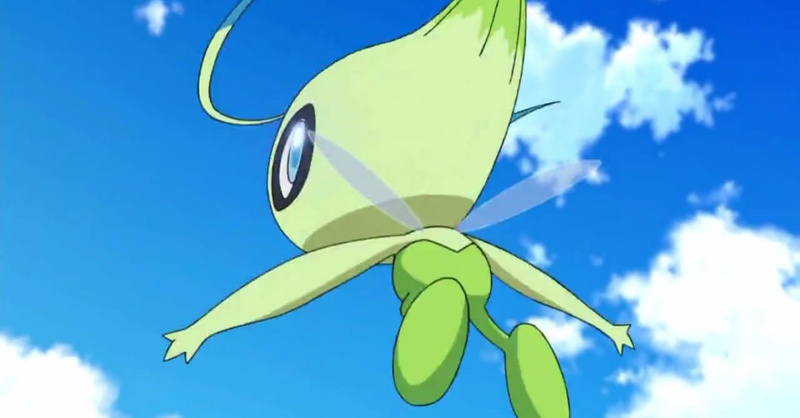 This Celebi is going to be a super duper hard one to catch isn't it? I haven;t spent any money yet and not going to... Managed to get Groudon in time but started too late to get Rayquaza. I'm done with this game. Apparently, based on calculations from hackers who hacked this game, if you wanted to get an S Rank and catch every pokemon very easily, you would need to spend more than $50 in order to get enough Jewels to use on coins. I'm not saying you have to spend money to do this, but it's extremely easier this way. Did it raise the total # on the main menu? I'm currently around 176. I HATE the safari challenge! I have only caught spinda and cherubi, and DON'T get me started with carvahna! I can't even PLAY the other 2 levels for luck reasons, and the level's are just hard to beat on their own. And the catch rate is atrocious. Well, Big N definitely wants you to spend money with this Safari Challenge. I didn't and managed to get 4 of the 5 Pokemons, sticking with a fighter and bug Pokemons. Now, since I'm only missing one of the Dark Pokemon (I think is Sharpedo or something like it), I arrange my Pokemon set accordingly, waiting for it to show up. No luck in more than 30 occasions. I only downloaded this to see what it would be like. I stopped playing a long time ago and didn't spend any money. Wow, first Heart, and I not only beat, but caught Celebi as well 10% catch rate! 0 moves left, but the S Rank doesn't matter for special stages. That was a pleasant surprise. @Godlygamer You apparently haven't encountered the two other Pokémon of the total five Safari Challenge Pokémon yet, as they very seldom appear to catch easily. You might have a chance to get Cherrim, but Sharpedo is ridiculous, as its disruptions will drive you crazy! @rjejr No. Still at 180. @Klimbatize - OK thanks. Guess I'm in no rush then as I'll be there in a few days. I'm not obsessed about scores or catching them all, just making it to the end. Do I have to have got to a certain point in the game to get this? I've barely played the game so far. 083 Ampharos, level 2 (key to break the walls at each side). 078 Lucario, level 5 (I think I did it with level 4). 138 Scyther, level 3 (much needed). The fourth Pokemon does not matter as the game will remove the least powerful. Still, I usually place Slurpuf, as it damage can increase randomly. (level 5). I'm still buttmad about starting this game so late, missed out on Mew, Kyogre & Lucarionite... ;-; Didn't expect to like it this much. @Shirma_Akayaku ; I wonder where you got that from. I caught every Pokemon bar Mewtwo and Genesect (due to low levels) and got 150 S-Ranks up until now. You really don't need to spend any money at all + those 500 coins every day & Meowth on weekends help in the long run. I can understand the frustration with the Safari though, I don't like the concept of it all too much.. Took me a good while to get all of them. I haven't spent any real money so far and I never will, and the only thing I've missed was the Lucario stone. Got all the safari pokémon, got Celebi easily and just caught Mewtwo. I've only got five more expert pokémon left to catch (need to S-rank like 20 or so more stages to be able to reach Expert stage 21). I'm getting coins from Meowth and grinding experience on Ampharos. A great time-waster I think. @Toasty Well it really depends on a persons skill level and how much money they use on each level. If someone just wanted an extremely easy time with out much skill and no retries, then it'd be around $50 or more (depending on future content). However, if you're smart with your money and very skilled, you can spend little to no money at all. @ikki5 Yep, I've stopped playing this recently after spending no money. It just started to feel too samey. Gamefreak, all I want is the announcement of the next mainline Pokemon game. I don't care for spinoffs. @Samuel-Flutter I spent a few dollars and nothing else. I already got it early in morning....that's too easy catch it. @Shirma_Akayaku $50 is cheaper than Pokemon Rumble 3D. Plus, instead of spending money you can just actually play more. Spending money on a shortcut is like spending money to go straight to the final level in any Mario game and missing out on all the fun of the rest of the levels. @MadAdam81 I agree with you completely. The "Pay to Play" concept only works as many modern gamers have mistaken "completing objectives" with "having fun playing". Growing up in the NES/SNES era, I'd have laughed directly in someone's face if they'd told me they could pay £10 to skip to the end of Mario Bros.
Nowadays Nintendo could make more money by just selling ready completed copies of Pokémon ORAS. Would save hackers a lot of time.... could even charge more. @Samuel-Flutter No. The question is how much money did they spend. I absolutely love this game; I caught Celebi within 3 hearts after downloading the extra content. I wish they'd lower the price per jewel so I could shamelessly play for longer periods (and support developers), otherwise I just don't think to come back until after I hop in bed.